Jammer Line Magazine returns with a brand new issue to start the 2015 Flat Track Season! We've taken our magazine and stripped it down to it's foundation and rebuilt it from scratch. 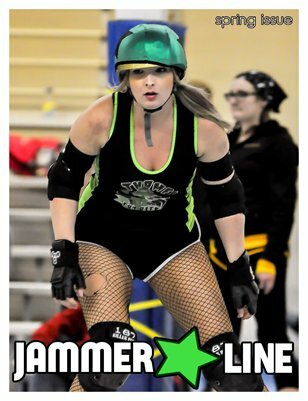 A new staff of writers joins the Jammer Line Team with well informed articles about the sport of Flat Track. Everything from Officiating, Coaching, Junior Roller Derby, WFTDA, Gear Reviews, Opinions, Exclusive Bout Coverage and More await you inside! We hope you enjoy this first issue. Jammer Line is The Official Canadian Flat Track Magazine!